Free returns are available for all sale items within 7 days of receipt, provided the return conditions specified below are met. Return Instructions are provided below. Purchases must be returned from the original shipping country. Items returned must be in their unused original condition with all Ajmal Perfumes item tags attached and any related sampling pieces and booklets included. Incomplete, damaged, or altered returns, or anything we at Ajmal Perfumes reasonably believe has been used, will not be accepted and therefore sent back to the customer. 1. Please Contact us to schedule a collection for you at no additional cost if you met the return conditions. 2. Our Customer Service Team will email an Aramex Return Air Way Bill Number. 3. Place the item(s) in the original shipping box. 4. Remove all other labels from the outside of the box. 5.To track your return, please note the tracking number printed on the Return Airway Bill Number and enter it in the tracking number field on www.aramex.com. For any further queries, please Contact Us..
No Refund for cash on delivery orders. Refunds will be accepted only for orders which paid through online payment method. On RECEIPT of a return, we will process the refund as soon as possible. We estimate refunds will be made by the bank of your payment method within 10-15 working days. Working days are Sunday to Thursday excluding UAE public holidays. Currently orders cannot be exchanged online. In certain circumstances, before your order has been dispatched, we may be able to cancel your order. If you wish to cancel your order, then you’re required to inform Ajmal Perfumes through email or telephone about your cancellation within 24 hour from the time of order being placed. Please note, we are unable to combine orders, change the items, edit your billing and shipping details or add pieces to an existing order once it has been placed. Your order will be processed and, subject to being accepted by us, a confirmation email will be sent upon shipping. 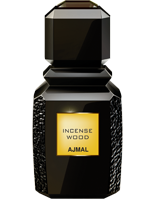 Ajmal Perfumes Online. A world of fragrances and offers. The New Year 2019 has dawned. And as the world celebrates a new wave of optimism and promise, we at Ajmal Perfumes wish you all the very best for the year ahead. Let your essence shine in every moment of the New Year. 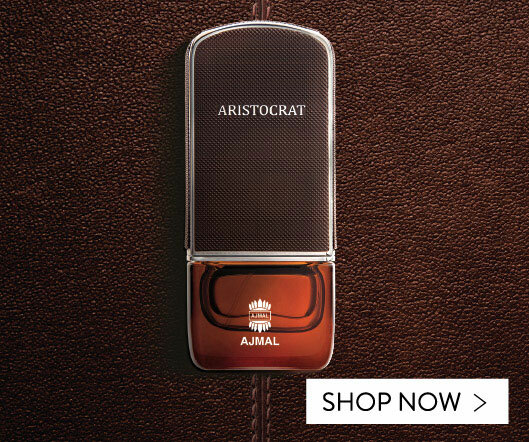 Speaking about new, there's a lot of 'new and news' that is happening on the Ajmal Perfumes Online Shopping experience – from the finest fragrances across a multitude of categories, to a plethora of amazing offers when you buy online; there's something for everyone. Western and Fine Fragrances galore. 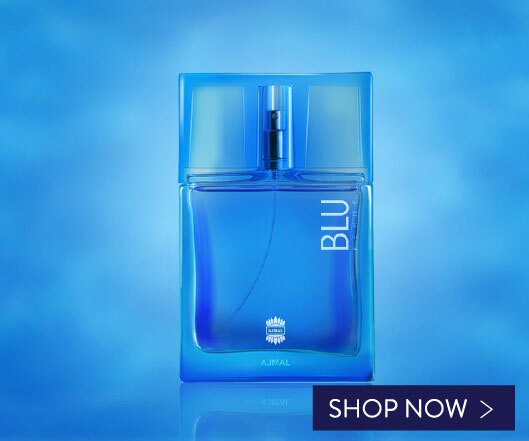 On Ajmal Perfumes e-store, men can enjoy superb Western and fine fragrances. Some of these include Titanium, Chemystery, Fasety, Expedition, Silver Shade, Shadow II, Blu, Zeal, Shiro, Sacrifice II, Aristocrat, Kuro and many more. Of course, the range is attractive for women as well – from Luminescence, Viva Viola, Entice, Orchidee Celeste, Blu Femme, Evoke Gold Edition, Shine, to name a few. Oriental Fragrances like never before. As the creators of some of the finest Oriental Fragrances, Ajmal Perfumes offers you the best of the best as you shop on our e-store. 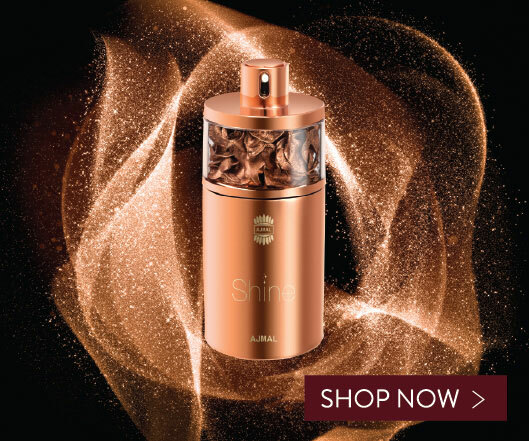 Some of our best-selling Arabic perfumes – for men and women – include Pearlescent Black, Qafiya Year of Zayed Limited Edition, Wisal, Wisal Dhahab, Musc Supreme, Green Watani, Mukhallat Shams, Bakhoor Khas, Musk Khas – and many many more. The most refined Dahn Al Oudh selection. The lineage of Ajmal Perfumes, when it comes to Dahn Al Oudh, stretches back to our roots from 1951. Across 7 decades, Ajmal has crafted some of the best Dahn Al Oudh. And these are what you can buy on our e-store as well. 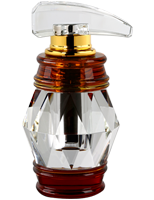 Some of our well-known Oudhs include Saif Al Hind, Dahn Al Oudh Shams, Dahn Al Oudh Moattaq, Dahn Al Oudh Jazaab, Dahn Al Oudh Nayyir, Dahn Al Oudh Ruyah, Dahn Al Oudh Hikaaya and Dahn Al Oudh Madeh. Refresh your home with our Room Fresheners. Need the best fragrances for home usage? Look no further than the ones on our e-store. Nafahat Al Majlis, Nafahat Malakiya Duet, Nafahat Eden, Nafahat Aura, Nafahat Exotique – the list is endless. And of course, we also have some amazing Arabic Incense – Bukhoor and Dakhoon such as Safwat Al Safwa, Oudh Mubakhar Fakher, Oudh Adam, Dakhoon Naif, Dakhoon Meraz and our premier best-seller; Oudh Mubakhar. More care for your skin with our Skincare range. Imagine skin care that is effective and perfumed? Yes, that's the difference in Ajmal's Skincare range of products – because they are infused with Ajmal's signature fragrances. On our e-store, you can savor some of the best essentials like Body Butters (Evoke, Aretha, Sacrifice, Dahn Al Oudh, Mukhallat); Body Lotions (Dahn Al Oudh, Alf Lail O Lail) and Powders (Aatifa, Ahebbak, Evoke Silver Edition, Avid, Wisal Dhahab, Utopia II, Blu, Fresh N Cool). Enter the world of fragrances. So what are you waiting for? There's so much more on our e-store – including Exclusives, Perfume Gift Sets, Signature Series, Travel Packs, Perfume Oils and more. Plus there's a world of amazing offers for you to enjoy the best at all times.